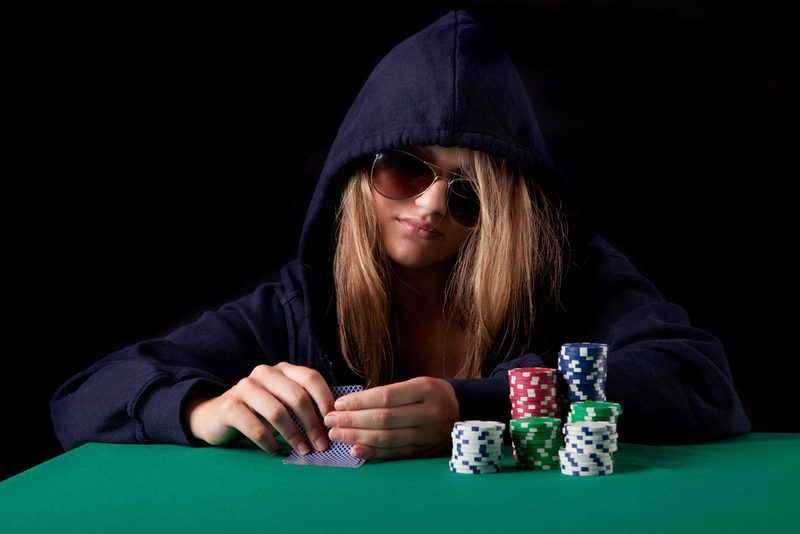 The term ‘poker face’ was famous among gambling enthusiasts long before Lady Gaga sung about it. Though there is a key element to chance in every game of poker (with the cards that you have been dealt determining how you will fare), knowing how to bluff occasionally is essential to optimum poker strategy. Quality bluffing skills can enable you to win big in a poker game even if you do not have a good hand. Bluffing should not be done constantly, but it can be thought of as a handy tool that you have ready in you armoury for when the going gets tough. Bluffing should be reserved for high stakes games, and you should pick the players that you bluff against carefully. Bluffing against a player who has a dwindling stack of chips, and especially a stack shorter than yours, is not recommended: these players are more likely to be desperate to win at all costs and will thus respond to your bluffs in an unpredictable way. The perfect time to bluff in poker is when there are high stakes to be won (i.e. when bluffing is worth it), when you have a poor hand, and when the player that you are bluffing against has plenty of chips and has let their guard down somewhat. You may have heard poker players talk about having a ‘tell’. It is said that everyone has a ‘tell’. A tell is a gesture or facial movement that betrays that you are bluffing. Your tell might be playing with an earring, or it might be scratching your left wrist compulsively. It is crucial to identify what your tell is so that you can control it. This can be done by videoing yourself playing poker or asking a friend to watch you play and identify your tell. Tells are usually unconscious, so controlling them can take quite a bit of effort. Some players go so far as to create a fake tell – they do this to put other players off the scent, and to make them think that they are bluffing when they are not. Controlling your tell will make it easier to bluff. Some players use dark glasses to make their faces more inscrutable, and where these are prohibited, caps with visors that cast shade over your face can be useful. Now, it’s time to bluff: pretend that you have got a great hand, control your tell so that no-one can spot that you are lying and wager a high stake. Your aim? To make the other player believe that their hand is no match for yours, and thus to fold – giving you the entire stake. Most successful bluffs will help you to win in this way – by default, after all of the other players have quit the game and folded, leaving you to scoop up the stake as the last player standing. Bluffing works both ways, and if you can learn to identify when other players are bluffing you will know not to fold when they push all of their stack of chips into the middle of the table to try and push you to the edge. This skill can be acquired through experience and simply through watching other players as carefully as possible. Practice that poker face and know when to bluff: i.e. when the stakes are high, your hand is poor, and the other players have no suspicions about you.